Eau Claire, WI – September, 24, 2018 -- UWS, a leading manufacturer and designer of USA-made truck tool boxes and accessories, has released an industry-first transfer tank design. These exclusive, new combo transfer tanks feature a dual construction of steel and aluminum. Both the steel tank and built-in aluminum combo tool box feature a smooth, mill finish. Our new steel transfer tanks are also available in L-shaped and rectangle configurations and in two finish options, black or white powder coat. New UWS steel combo transfer tanks are an industry-first. The tank itself is constructed from 14-gauge steel, allowing for dependable transfer of liquids to on-site vehicles and equipment. These steel combo tanks also come with a built-in tool box. However, instead of the tool box being constructed from steel as well, it is made from .080" aluminum -- an innovative combination. 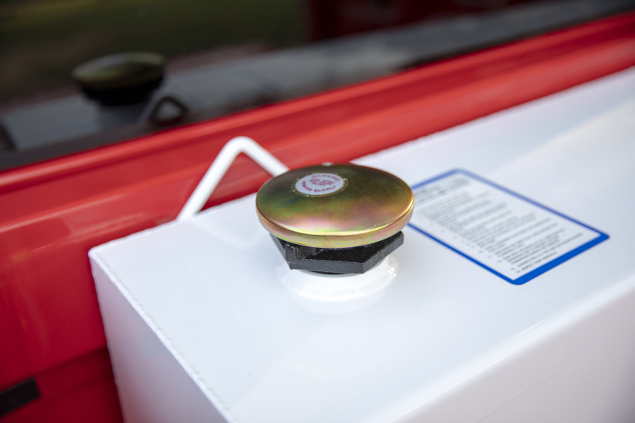 Without the added weight of the steel tool box, the entire unit weighs much less -- up to 100 lbs. less than competitive models -- keeping unnecessary weight off your truck. The steel-aluminum combo tanks also feature a smooth, mill finish. This makes them distinct from other transfer tank options that have the more common diamond plate finish. 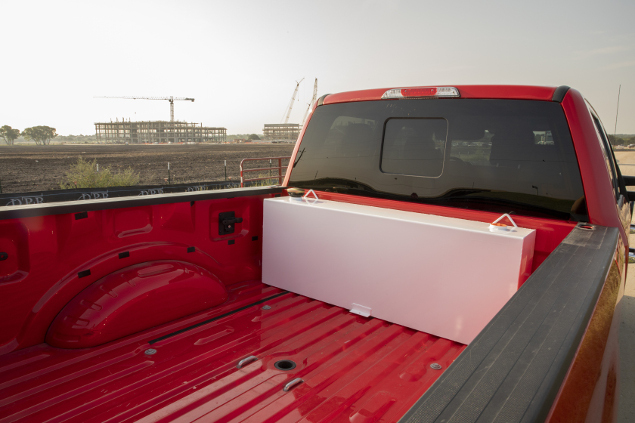 The smooth surface offers a sleek look in the truck bed, and it is available in two powder coat finish options: black or white. UWS is also adding L-shaped steel transfer tanks and rectangle steel transfer tanks. All tanks are made in the USA and are fully pressure-tested for safety. They come with a lockable commercial-grade cap, built-in drain plug and internal baffles for smooth flow of liquids. All of our steel transfer tanks also come with welded lifting hooks, making it easier to relocate the tank in and out of the truck bed. Click here to learn more about new UWS steel transfer tanks. 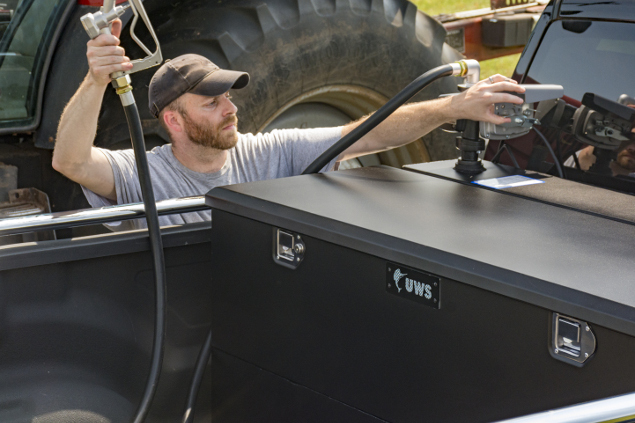 About UWS: UWS, a CURT Group brand, is a leading manufacturer and designer of USA-made truck tool boxes and accessories. 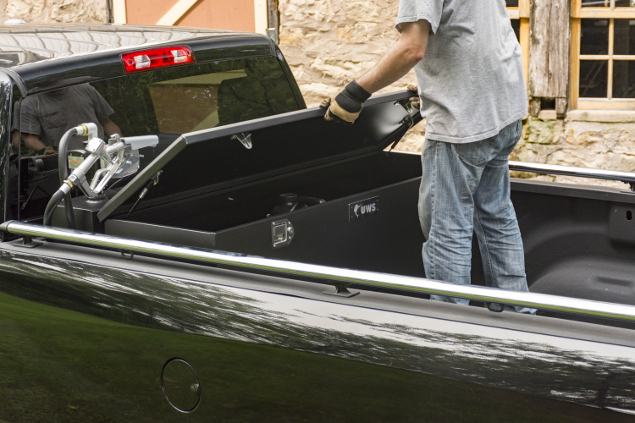 Our products are built to the highest quality standards, offering tough and reliable storage solutions for professional tradesmen and truck enthusiasts alike. We offer a full range of truck tool boxes, transfer tanks, chest boxes, dog boxes and other truck storage solutions. About CURT Group: CURT Group is a leading sales, marketing, engineering and distribution company of towing products and truck accessories for all types of vehicles, from passenger cars to commercial trucks. Our family of brands includes CURT, ARIES, LUVERNE, RETRAC and UWS. We are a team of more than 1,000 associates world-wide, with manufacturing plants in Wisconsin, South Dakota and Florida, and 12 regional warehouses across the United States and Canada. We stand for EXCELLENCE in our products and our associates. We aspire to be the industry LEADER by recognizing that the customer is KING and our associates are our greatest ASSET.